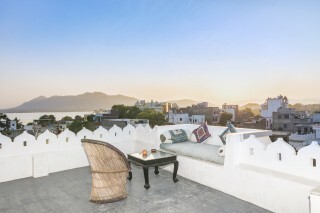 Situated 2.9 km from Lake Pichola, this is an offering of a private room in a boutique stay that can accommodate up to three guests. 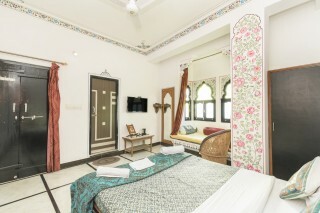 The property is also close to Bagore Ki Haveli Museum (700 m) and City Palace (1 km). 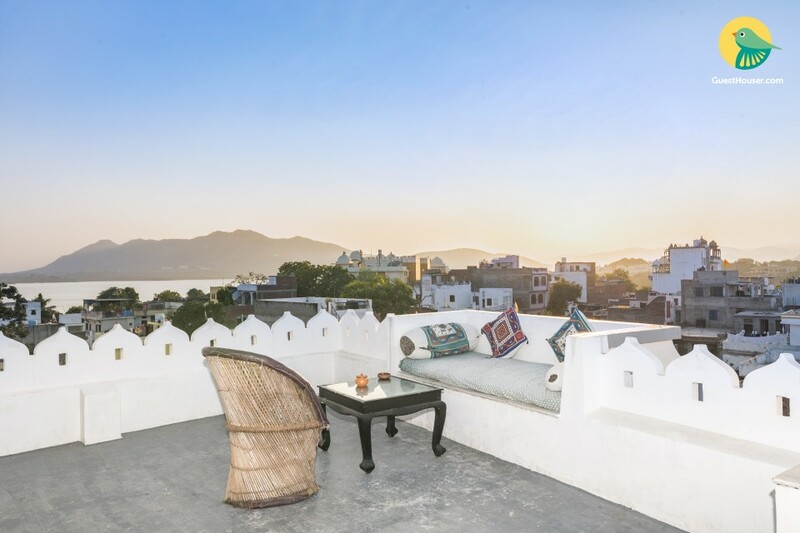 Perfect for a royal weekend getaway, this haveli stay is characterised by cream –coloured façade, traditional Rajasthani jharokhas, and intricate jaali windows. The entrance of the property is accentuated by paintings that give a glimpse of the bygone royal days. The commodious seating area is tastefully furnished with traditional divans, meticulously carved wooden tables, and beautifully upholstered cushion covers. 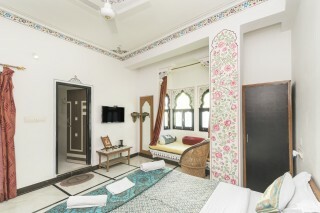 The elegant room has chess-board patterned tiled flooring, jaali lamps, and striking floral motifs and paintings that add an extra dimension to the space. You can comfortably lounge hear and interact with fellow travellers or watch your favourite shows on the wall-mounted television, which is provided for entertainment. 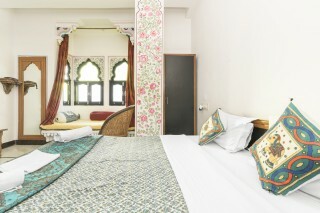 The air-conditioned room on offer is handsomely furnished and is also bedecked with floral motifs. 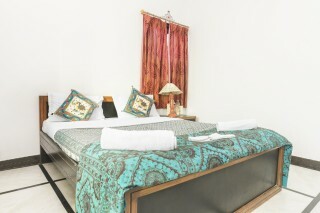 The room has also the necessary furnishings required for a restful stay, which includes a double bed with bedside table and table lamp, a dresser, a wall-mounted television, and a cane chair for added comfort. Additionally, a divan with plush cushions is also placed by the traditional window, so that you can contentedly read a book. The en suite bathroom is well tiled and equipped with modern sanitary ware. 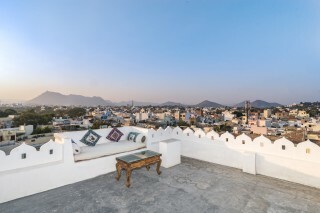 The well-equipped spacious terrace offers a panoramic view of the blue city.